Townsend, TN is a small town located just outside of the Great Smoky Mountains National Park, which is the most visited of all of the parks in the United States national park system. From Townsend, TN, visitors can easily access this beautiful park while staying away from the hustle and bustle of some of the more popular towns near the park. 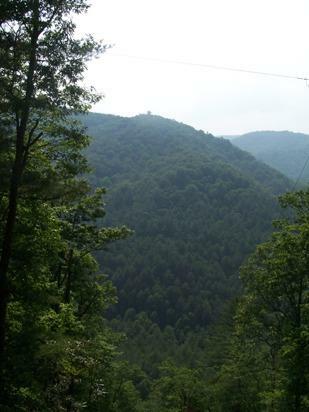 The main reason a tourist would be interested in visiting Townsend, TN is to access the Smoky Mountains. The Smoky Mountains are home to over 800 miles of trails and 500,000 acres of land. In addition, there are over 1,500 different types of plants and a wide variety of animals that can be encountered in the park. One of the most popular attractions within the Smoky Mountains is Cades Cove, the entrance to which can be found in Townsend, TN. This open-air museum takes visitors on an 11-mile paved loop, which can be driven or even biked during certain hours. Both options provide families with a wonderful opportunity to spend time together while learning more about Appalachian history and enjoying the natural scenery within the park. Nearby stables have facilities for horse rental, allowing families to take horseback rides through the park. Hayrides are also periodically offered through Cades Cove. Along this trail, families can learn more about early mountain settlers as they explore old barns, homes, and churches left over from earlier times. Animals such as dear, rabbits, and black bears may even be spotted along the way. A multitude of trailheads are located along Cades Cove, as well, including the popular Abrams Falls trail. This trail is a total of 5 miles roundtrip and can be easily conquered by children as young as four. The intriguing Tuckaleechee Caverns are also found in Townsend, TN. These caverns are estimated to be 20 to 30 millions years old. Many underground tunnels and rooms, some with ceilings as high as 150 feet, can be found inside the caverns. Formations that can be found here include stalactites, stalagmites, and cave draperies. Waterfalls and streams can also be seen in Tuckaleechee Caverns. Guided tours are offered throughout the day and are easy to complete by both adults and children. Children will especially enjoy the "Drapery Room" and making a wish in the naturally formed "Wishing Well" inside. The Foothills Parkway is located just outside the town of Townsend, TN. This parkway consists of 17 miles of scenic roadway, offering exceptional views of the Smoky Mountains and its valleys. Look Rock can be found at the end of the parkway. Here, visitors can be amazed as they enjoy a 360-degree view of the surrounding mountains and valleys. At the southern end of the Parkway, visitors can also stop off at Chilhowee Lake. Here, they can participate in fishing, canoeing, and kayaking - all of which provide fantastic opportunities for family bonding! The charming Little River Railroad and Lumber Company Museum can also be found in Townsend, TN. This museum is located in the center of the town on Hwy 321. Here, visitors can learn more about when Townsend was a successful logging company. The kids will enjoy seeing some of the original trains, such as vintage flatcars and a vintage caboose, from this prosperous time as well as other memorabilia. The Laurel Valley Golf Course offers a fantastic 18-hole premiere golf course for the golf enthusiast. The panoramic views of the mountains surrounding the course are simply breathtaking. In addition, the country club offers a swimming pool and a proshop. This community is also an excellent spot to rent a cabin for a stay in Townsend, TN. The cabins for rent here are fully furnished and, at a reasonable price, offer a fantastic retreat for the entire family. Some even include pool tables, hot tubs, and big screen televisions. Townsend, TN offers more peace and relaxation opportunities than the other more popular towns surrounding the Smoky Mountains. But, it is not short on fun. It offers several dining opportunities at restaurants filled with down home hospitality. It also has a mini-golf course, river tube rental facilities, and many souvenir shops. Yet, it is not packed full of tourists. At the same time, popular tourist towns are only about a half hour drive away, making them easily accessible. And, the drive to them is breathtaking as it takes visitors along the Little River and many other attractions, such as The Sinks.